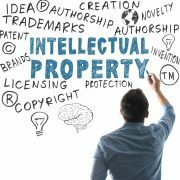 Intellectual property (IP) professionals say that plans to create a unified court for patent litigation in the EU could be jeopardised if a crucial court challenge in Germany is not heard swiftly. Germany’s federal constitutional court, the Bundesverfassungsgericht (BverfG), said last week that it will decide on a challenge to the proposed Unified Patent Court (UPC) this year. However, the BverfG has not provided a firm time frame for hearing the case. The news puts the UPC project in doubt, as German and UK ratification is required before the agreement can be formally implemented. The BverfG challenge, filed by Düsseldorf IP attorney Ingve Stjerna, questions the constitutionality of the German legislation enabling the UPC’s ratification. Luke McDonagh, senior lecturer in IP and constitutional law at City, University of London, said that with Brexit looming, it is crucial for the court to make its decision. Luke Maunder, associate at City IP specialists Bristows, said there has been a ‘frustrating’ lack of information about when the court will make a decision and whether it will come in time for the UPC to come into being before Brexit. ‘That is highly relevant as UPC start-up post-Brexit would add a further layer of complication, especially if the much-talked-about Brexit transitional period does not materialise,’ he added. The UPC, which will hear disputes related to unitary patents, will be open only to EU member states. One of the court’s major divisions is set to be housed in Aldgate Tower (pictured) in the City of London. It will, on occasion, have to refer certain matters to the European Court of Justice. The UK is currently undergoing the final stages of ratification, a process requiring the rubber stamp of foreign secretary Boris Johnson. Linklaters LLP is a multinational law firm headquartered in London. Founded in 1838, it is a member of the “Magic Circle” of elite British law firms. It currently employs over 2,000 lawyers across 29 offices in 20 countries. 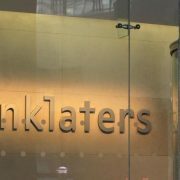 In 2016, Linklaters achieved revenues of £1.31 billion ($1.97 billion) and profits per equity partner of £1.45 million ($2.2 million), making it the world’s fourth highest-grossing law firm, and the most profitable member of the Magic Circle. In the UK, the firm has top-tier rankings across many practice areas, including corporate/M&A, capital markets, litigation, banking and finance, restructuring and insolvency, antitrust and tax. Linklaters counts more FTSE 100 companies among its clients than any other law firm. For direct deals by institutional investors in the first half of 2016, Linklaters tied for first place. In the 2012 Global Elite Brand Index, Linklaters was named the third strongest global law firm brand.